Direct air services between St. Petersburg’s Pulkovo airport and cities in mainland China increased by nearly a third last year. 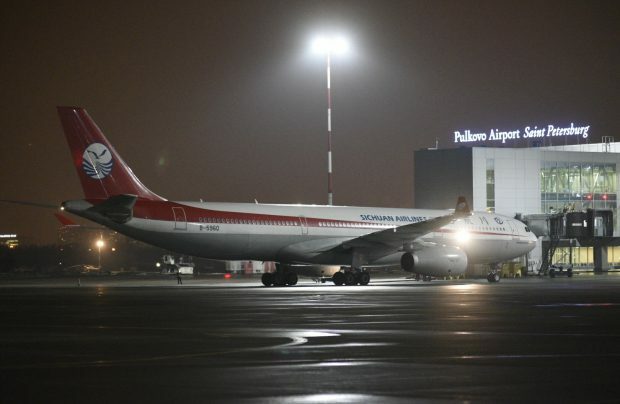 The latest carrier, Sichuan Airlines, has commenced scheduled services between the Russian city and Chengdu, the capital of the Chinese province of Sichuan. The inaugural flight arrived at Pulkovo on January 26, marking the start of a twice-weekly schedule utilising a 300-seat Airbus A330-300. Evgeniy Ilyin, CCO of Northern Capital Gateway which manages the St. Petersburg airport, observes: “China remains one of the fastest growing destinations in Pulkovo’s route network. In 2017, direct traffic between St. Petersburg and cities in mainland China increased by 32% year-on-year to over 223,000 passengers. Chengdu, a major business, commercial, and cultural center, is one of the most densely populated cities in China. During 2017, three other Chinese carriers operated direct scheduled flights between St. Petersburg and cities in China: Beijing (Hainan Airlines), Urumqi (China Southern Airlines), and Shanghai (China Eastern Airlines). Additionally, a number of charter flights were operated to Beijing, Wuhan, Macau, and Taipei. In late 2016, Pulkovo became the first Russian airport to be awarded the prestigious Welcome Chinese certificate by the Chinese Tourism Academy. The award acknowledges the high level of service offered to Chinese passengers by Pulkovo’s terminal facilities. Several European airports already have such certificates, including Rome’s Fiumicino and Paris’s Charles de Gaulle. Pulkovo is Russia’s fourth biggest airport in terms of passenger traffic. It welcomed 16.1 million travelers in 2017, the highest number in the airport’s history.